It's a bit of a pain, but its not impossible to post. Let's hope it gets sorted though. I'll have a look into it and see if I can find out what's going on and if there have been any issues. Apparantly there are server issues but rather than take it offline it offline completely it may be a bit glitchy for the next day or so while it is replaced. It's weird, it was working absolutely fine (maybe just a little slow) on my phone while in school today (I was bored) but as soon as I've been home and using the PC it's been playing up big time! It works fine on my phone too but then goes funny on a computer. Maybe they use different servers or something? Been really annoying again this afternoon! Wasn't sure if this was making a new thread for, but before I disappear... For some reason, at the top where it says "Home, Help, Search, Profile" etc... mine have all gone squidged together, anyone else got that or is it just me? It happens on mine occasionally (I'm using Chrome), but I think it's just a blip - when I refresh or go to another page on the forum it goes back to normal. Is it just me, or was the forum down, the whole day yesterday? It wasn't just you. It was back when I tried after midnight. 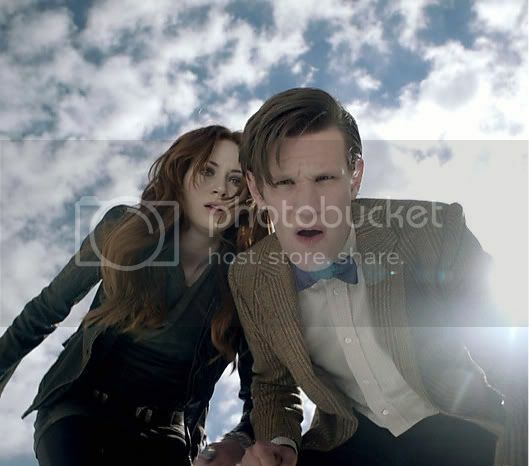 Ah okay, I just got the couldn't display page... Just as I was posting yesterdays' "This Day in Doctor Who"